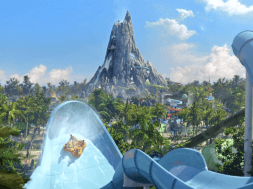 It may be the fantasy and thrills of the major theme parks that lure so many vacationers to Orlando, but if that’s as far as your vacation goes, you’re missing out on some of our truly novel amusements. Just outside of Universal and SeaWorld, International Drive (commonly referred to as I-Drive) serves as a playground worthy of discovery. 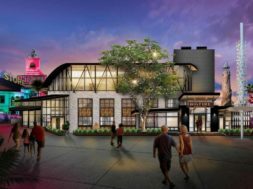 Among the sea of hotels, shops, and restaurants, I-Drive offers a vast array of original entertainment options. Many of us locals appreciate these for a break in the crowds or from our temperamental weather. Consider this the top five ways to enjoy some time away from the theme parks – a change of pace, from a local’s recommendation. It’s not part of the main drag on I-Drive, but World of Chocolate Museum and Cafe is worth venturing just a bit beyond the heart of all the tourist activity. World of Chocolate is a dual experience dedicated to one of my personal favorite guilty pleasures. Let’s be honest – who doesn’t love chocolate? 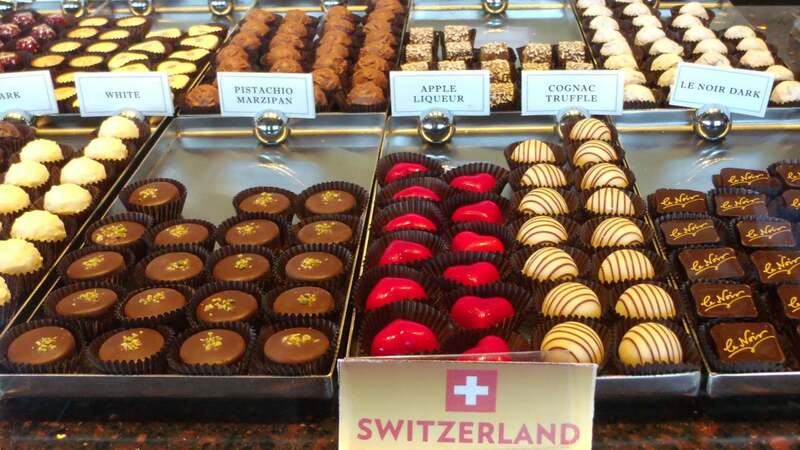 Real chocoholics will love the museum tour. Knowledgeable, friendly guides lead you through the impressive global history of chocolate, and the processes that takes it from bean to bar (as well as its many other forms). The tour culminates in a room filled with impressive sculptures – 25, to be exact – all made entirely of chocolate. These fantastic displays range from three to six feet in height and represent highly recognizable faces and places from around the world. 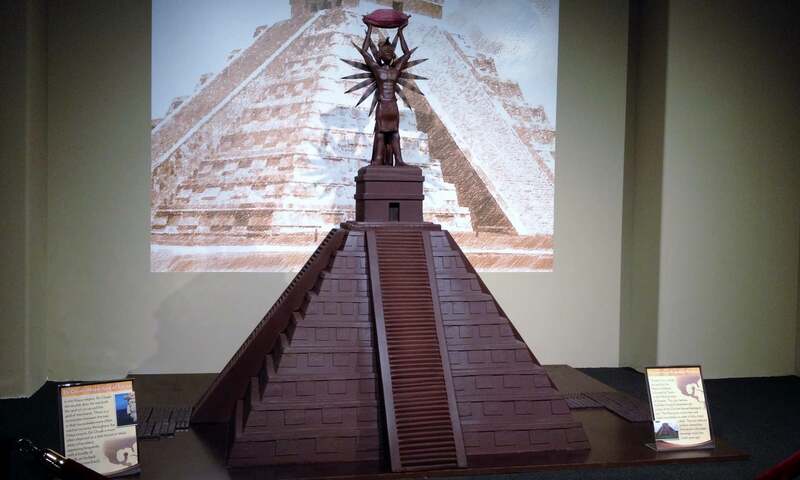 Though the sculptures are well preserved and not for devouring, you are invited to try samples of nine of the world’s finest chocolates during your tour, which last approximately 45 to 60 minutes. Even if the history lesson isn’t exactly your cup of cocoa, there’s little reason to pass up the World of Chocolate Cafe. Menu items include a vast assortment of chocolates from around the world, as well as cakes and other baked goods, coffees, milkshakes, gelato, and more. For those who must avoid chocolate, antipasti cheese plates are also available. Either option will go well with the available wine pairings. There is no admission price for the cafe, but the museum is $16.95 per adult and $12.95 for children, seniors, and military. Guests under four are free. CSI: The Experience and Our Body: The Universe Within are two separate exhibits housed under one large roof. The very first thing to note is that these attractions won’t appeal to everyone, but if you’re the type who enjoys the science behind forensics or anatomy, this will certainly be a rare and exciting treat! 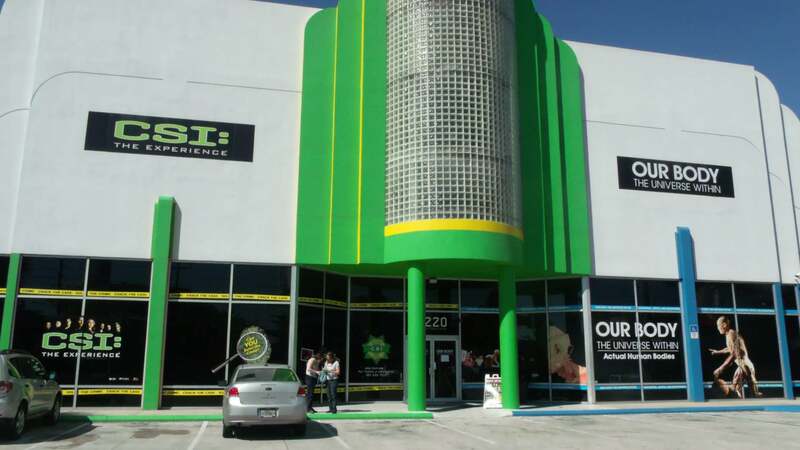 From your television to your vacation, CSI: The Experience is an interactive attraction patterned directly after the long-running CSI: Crime Scene Investigation. If you’re a fan of the show, you’ll appreciate the added touch of your favorite characters assisting you as you scour crime scenes for clues to analyze, but knowledge of the series is not mandatory to enjoy this hands-on exploration of criminal science. There are three crime scenes (separately priced), as well as various labs equipped for evidence evaluation. The average “investigation” will occupy your team for about an hour. While CSI is a permanent attraction, its partner exhibit, Our Body: The Universe Within, is temporary. It has been at this location for just over a year, replacing Star Trek: The Experience. While some will find Our Body exceptionally fascinating and informative, others will undoubtedly view it as macabre. Be prepared – there are actual human bodies on display in this exhibit. Our Body demonstrates our anatomical systems at work in a way that textbooks never could – in 3D. Bodies donated to science are extensively preserved and presented in various ways, spotlighting the unique biological functions that combine to make us what we are. Due to the nature of this attraction, the maturity levels of those in your party should be considered. Photography is not allowed in either CSI or Our Body. Tickets for these exhibits are sold separately, but those planning to tour both can save with a combination option. Prices vary greatly because many discount options are available through Groupon and area hotels. You can easily tour both attractions for $30.00 by any number of cost-cutting means. If it’s more family-friendly science fun you seek, WonderWorks is the way to go. 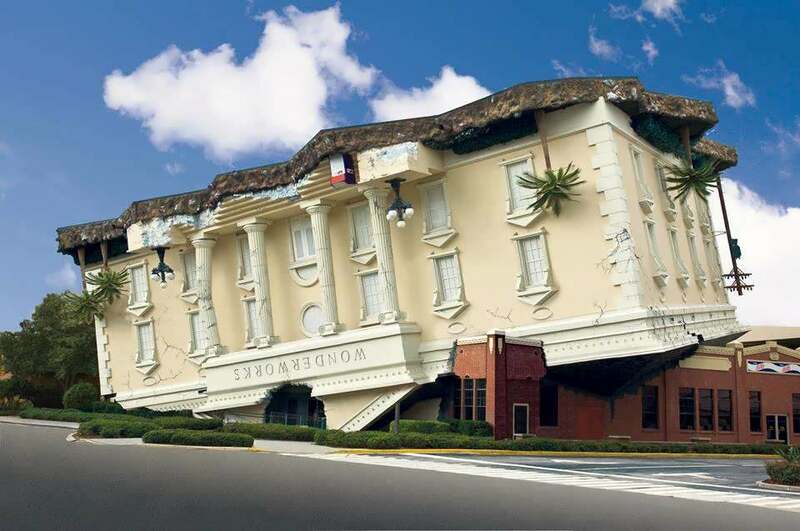 The attraction “landed” in Orlando in 1998 as the result of a dramatic tornado that ripped this bustling laboratory from its original location in the Bermuda Triangle to its new home right in the heart of I-Drive. 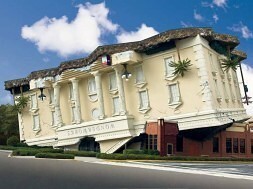 Okay, maybe that’s just the legend, but it does explain why the building is upside-down. This architectural masterpiece houses more than 100 exhibits, all related to some branch of science. 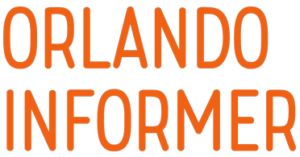 You’ll find simulators, as well as interactive displays highlighting space, imagination, natural disasters, sensory engagement, and so much more. Everything you see and touch is meant to challenge or stimulate – mentally and physically. The most recent addition to this ever-evolving attraction is the three-story, glow-in-the-dark rope course, where guests climb their way through a web of twisting paths that reach up to 36 feet. 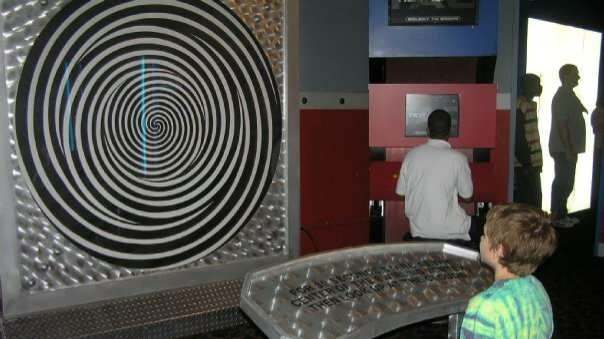 WonderWorks also offers a video arcade, laser tag, and the Outta Control Magic Comedy Dinner Show, but each of these come with an additional fee. The WonderWorks gift shop is notable for the simple fact that it presents a pleasant variety. This is one local attraction where souvenirs don’t have to break the bank. Needless to say, WonderWorks is a standing favorite with my kids, who have enjoyed it just as much as teens as they did as toddlers. Base tickets are $25.99 for adults 13 and over and $19.99 for either children or seniors. Guests under four are free. If you’re like me, you may like the idea of skydiving, but you have something holding you back from actually doing it – like a crippling fear of free-falling from about 3,500 feet above ground! 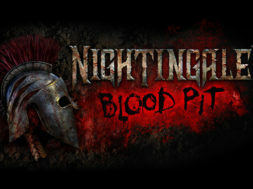 What if you could simulate that adrenaline-fueled experience without the overwhelming fear? 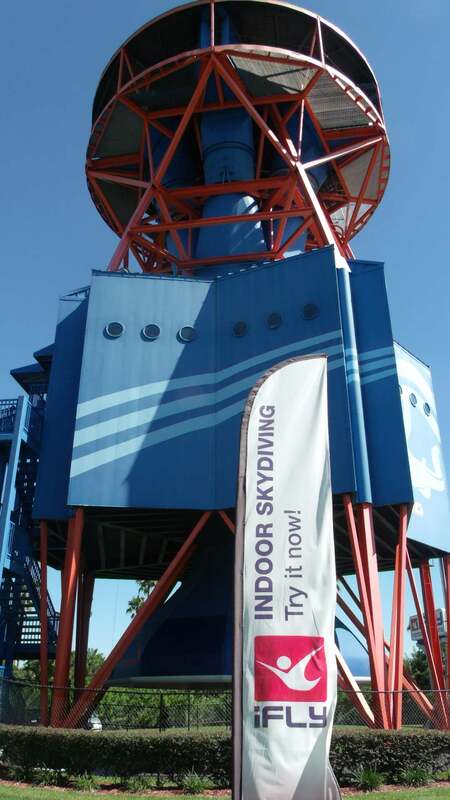 That’s the basic premise behind iFly. iFly is an indoor skydiving attraction, allowing even the most timid of thrill-seekers to conquer a phobia they may never otherwise face. This simulated event is made possible by a 1,000-horsepower vertical wind tunnel, overseen by a trained instructor. 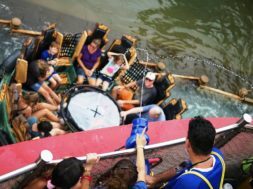 There are no parachutes and no jumping – just a comfortable, exciting experience of floating on a controlled cushion of air. Packages vary in price based on experience and the number in your party, but they start at $59.95, including two flights for a first-timer. The entire experience, from training to completion, takes about an hour. 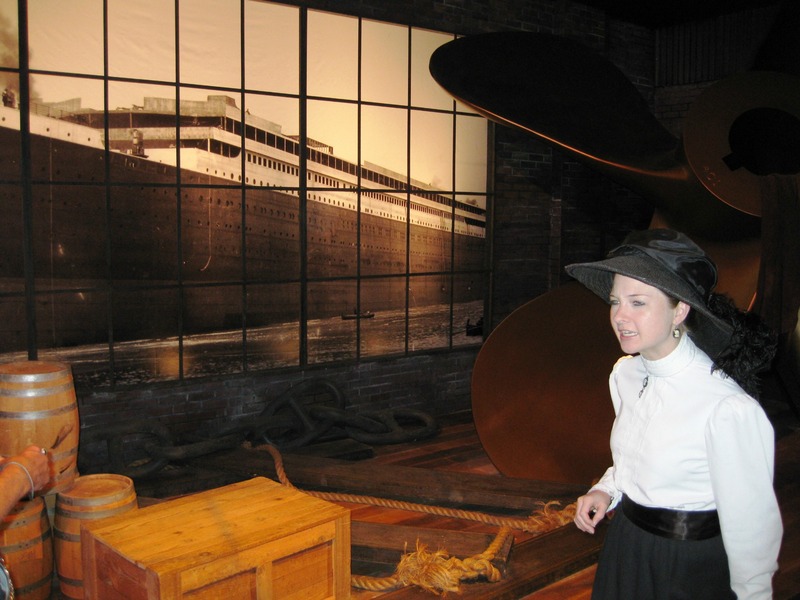 As a history buff, I may be somewhat biased when it comes to Titanic: The Artifact Exhibition, but this is an attraction that offers so much more than simple history. It’s not possible to see the ill-fated ship as a cornerstone of entertainment, but this exhibit presents a tragic event in a way that is compelling, respectful, educational, and inspiring. This 20,000-square-foot attraction features over 400 genuine artifacts from the Titanic, including the second-largest piece ever recovered from the vessel itself. Short films enhance the story of the famous ship and her doomed passengers, as your guide (complete with period attire, and a story of their own) urges you to live the experience – from boarding in Belfast to the catastrophic final moments of the passengers and crew. 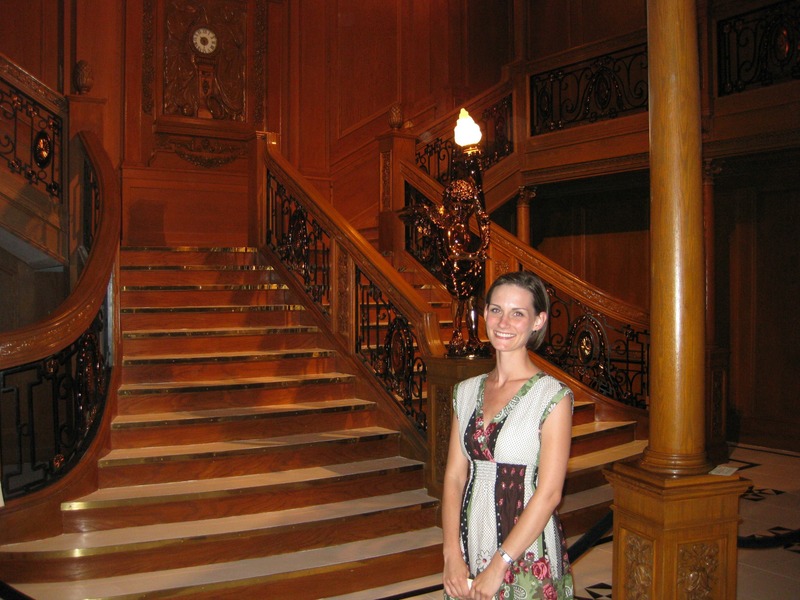 Tours of the elaborate exhibit can be either self-led or guided by a knowledgeable “representative” of the Titanic (same price for either option). Guided tours last approximately 75 minutes and begin at the top of the hour. Tickets are $21.95 for adults and $15.95 for guests ages five to 11. Children under five are free. Orlando plays host to many well-known dinner shows. With a family of picky eaters, I’ve often chosen to avoid paying dinner show prices – dinner and a movie is more our speed, in most cases. As luck would have it, though, we were invited to attend a performance at Sleuth’s Mystery Dinner Show recently, and I was pleasantly surprised to find every member of my family amused… and well fed. The show is one that encourages audience participation, as everyone is expected to contribute their brilliance to solving the dramatic whodunit. I compare it to a live version of the board game Clue, with comparable costumes and personalities. 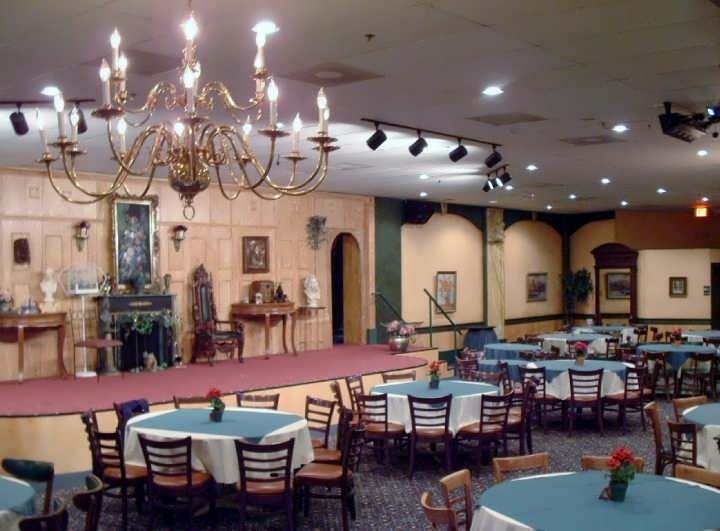 Your menu options include salad, hors d’oeuvres, dinner rolls, choice of entree (Cornish game hen, lasagna, or prime rib, with chicken tenders for the youngsters), dessert, and unlimited beer, wine, and soda. Three separate theaters provide elaborate stage shows, but the fun begins with the pre-show, even before you enter the theater. 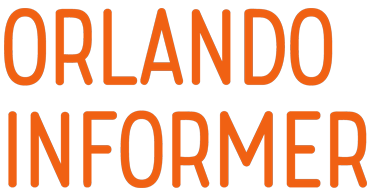 Show themes do change regularly, with multiple versions typically being offered at any given time. 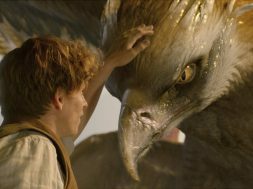 Each visit holds the potential to be entirely unique, as many elements of improvisation and comedic banter are exchanged between the cast, staff, and guests. Tickets start at $50.95, and include your meal. 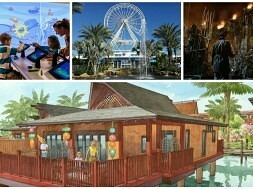 What are your top five I-Drive attractions – and are they worth leaving the theme parks and daring I-Drive’s traffic? Let us know below.